The Public Health Agency of Canada is once again telling Canadians not to eat romaine lettuce in Ontario and Quebec, and now New Brunswick. 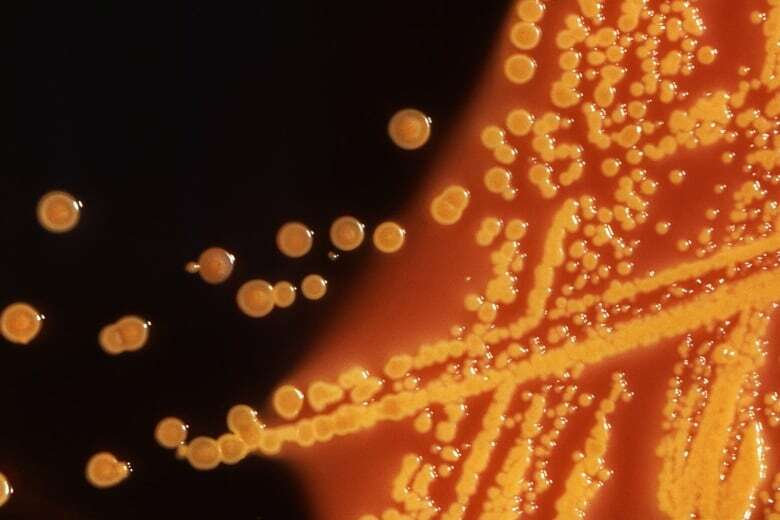 Health officials in the U.S. and believe the outbreak can be traced back to California. 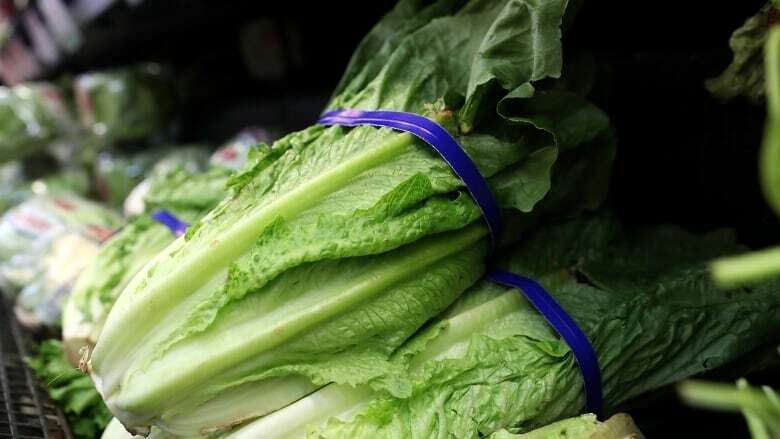 Earlier this month, the Public Health Agency of Canada advised Canadians in Ontario, Quebec and now New Brunswick not to eat romaine lettuce while the investigation was underway. Lettuce needs a lot of irrigation water during cultivation. And sometimes the root of the problem is as simple as cross-contamination on the farm where it's being grown. "You can get contamination from animal production facilities, it gets into the sediment, it gets into the water, which gets irrigated onto the crops, which are then harvested within 40 to 80 days," says Keith Warriner, a microbiologist specializing in food safety at the University of Guelph. The bacteria can also come from birds flying overhead or other wild animals walking through fields. And, short of moving all production into greenhouses, it's just very difficult to avoid that kind of contamination. It's equally hard to pinpoint the source. "By the time public health officials are notified, people have been sickened for a long time," said Lawrence Goodridge, professor of food safety at McGill University." And he said, since the shelf life of lettuce is quite short — about five weeks — it may not even be in circulation any longer. But it's not just lettuce and leafy greens. There is currently a salmonella outbreak in western Canada linked to cucumbers. What do these all have in common? Consider this: when was the last time you cooked your lettuce or cucumbers? That's another basic reason why people more often get sick from eating contaminated lettuce and other salad greens. Unlike many other vegetables, they are rarely cooked before being consumed. Cooking kills E. coli O157 and other bacteria. So other vegetables may be getting contaminated just as lettuce is, but because the vegetables are mostly being cooked, there is no widespread outbreak of illness. Washing the produce at home is not a reliable way to remove bacteria. "The bacteria can be stuck on the surface of the lettuce, it can even get inside the lettuce," Goodridge says. "So if you wash it, you might remove some of the bacteria, but you're not removing 100 per cent. And we know in some cases, when we look at historical outbreaks of E. coli, even ingesting one single bacterial cell was enough to cause illness." What about pre-washed packaged lettuce? If you tend to reach for the convenience of pre-washed, pre-cut greens, you've probably seen on the packaging that it says they've been double- or even triple-washed. But Goodridge says, again, when it comes to E. coli, that means nothing. "It's washed to remove dirt, and chlorinated water is used, but really, that doesn't do much. In fact, studies have shown it tends to spread the contamination around." And what's worse, he suggests, when the lettuce is cut in the processing plant, the leaf releases sugars that the bacteria like to grow on. So the bacteria can multiply even faster. Consider, too, he says, that to get to that bag or box, the lettuce has gone through a lot of hands and a lot of machinery, all of which could be harbouring bacteria, too. 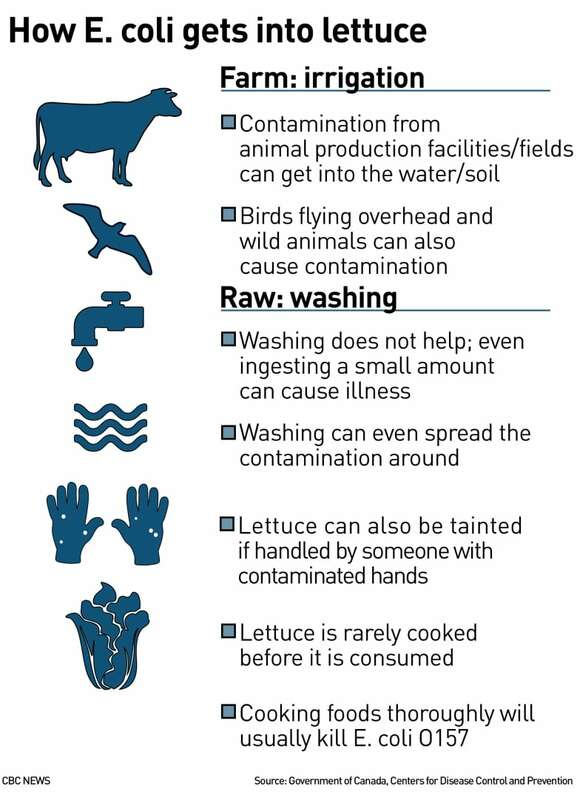 Why is lettuce contamination so hard to prevent? It's a question being asked by many scientists. "Those of us who work in this area, we have much work to do to try to figure out why this apparently seems to keep happening," Goodridge says. "Is there something specific about romaine lettuce that perhaps now suddenly in the past year has elevated it, or is it just a coincidence?" At the University of Guelph, there may be the beginnings of some answers to that. 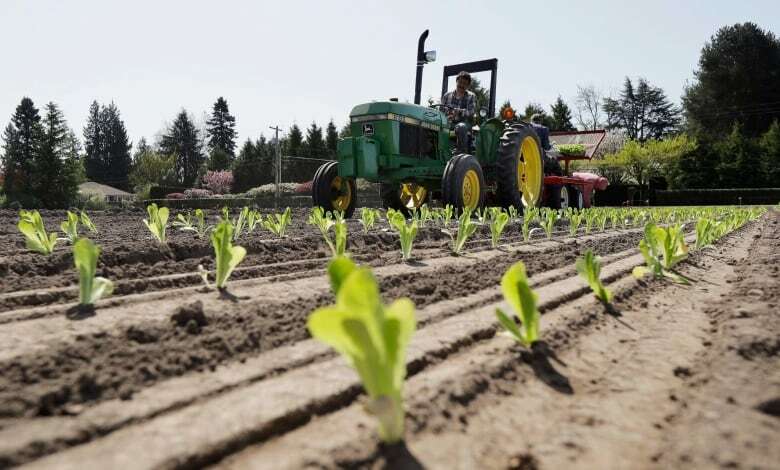 'We've actually got some current research going on here that suggests, of all the different lettuce types, E. coli O157 likes romaine lettuce," Warriner says, "especially if it is breaking out of its dormant state. So there is an association with leafy greens and E. coli O157. People suggest it's a pathogen-vegetable interaction going on, where they're actually adapted to living on lettuce." Minus any conclusive findings, though, both scientists agree it's not worth the risk to eat romaine lettuce right now. If you have it, they say, throw it out. And don't buy any or order it in a restaurant for the time being. An earlier version of this story incorrectly stated that the Public Health Agency of Canada was telling Canadians not to eat their leafy greens, especially romaine lettuce. In fact, the agency is only advising Canadians in Ontario, Quebec, and now New Brunswick, not to eat romaine lettuce.